Anti-vAndAl SwitcheS Anti-vandal switches feature a metal body and actuator with a water resistant body design. A wide variety of options, including bi-color illumination, different actuator styles and the capacity for a long life expectancy give this switch a unique ability to be used in many public related applications such as elevators, kiosks and parking ticket dispensers. PuShbutton SwitcheS Pushbutton switches open or close an electrical circuit by the user pressing down on the actuator or in some cases, pulling on the actuator. 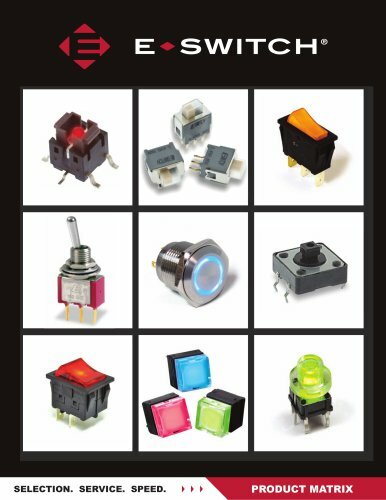 Our pushbutton switches come in many different shapes and sizes, ranging from low milliamp ratings to high power ratings with horse power. We also offer some that are sealed up to IP67 standards, and many different styles of actuation with illumination are available.